There is a lot of bad in our world. Each day brings new headlines of despair, and we feel the impact in our daily lives. People are hurting, and we are not denying nor dismissing this pain. Yet, there is also a lot of good in the world. People are working each day to make this world a better place, and these efforts should be recognized. For this reason, we are starting this series. Each week, we will highlight heroism and emphasize humanitarianism. We know we cannot erase the bad, but we want this blog to be a small reprieve, a reminder that good exists. Here are four good things happening this week! 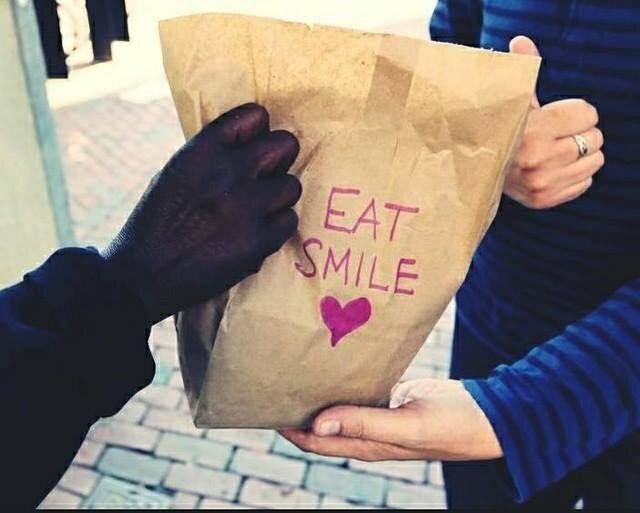 12-Year-Old Distributes Lunches: Liam Hannon, a kid from Massachusetts, has taken it upon himself to distribute lunches to homeless people in his community. He started “Liam’s Lunches of Love” and has handed out over 2,000 lunches. Anonymous Gift Helps Chimps: Chimp Haven, the national chimpanzee sanctuary in Louisiana, recently received an anonymous donation of two million dollars. This gift will provide over 200 chimpanzees who have been living in research facilities with a new home. Now, these animals will be able to come to Chimp Haven’s sanctuary for retirement. The United States Cancer Mortality Rate Declines: The American Cancer Society has released a report that shows a major decline in the cancer mortality rate. According to the report, the rate has declined by 27% in the last 25 years. Experts say this is due to less cigarette consumption and advances in early detection. Lyft Driver Becomes a Friend: Sterling Bindel found herself alone after a recent emergency room visit. She had gone to the hospital for seizures connected to epilepsy. Her roommate had dropped her off, but when she was discharged at 4:30 AM, she had no one. Bindel called a Lyft driver and said she was expecting an annoyed driver and awkward conversation. Instead, she found a friendly woman who expressed concern. While talking, the driver revealed her daughter was recently diagnosed with epilepsy. Bindel said they had a nice conversation, but she never expected to see the women again. The next day, the driver was back, extending a helping hand and offering a ride to the grocery store. Bindel said it restored her faith in humanity to help a stranger care so much about her.